Alexander Rose Monte Carlo Hanging Chair:This Alexander Rose Monte Carlo Hanging Chair is a fantastic piece of garden furniture that will brilliant hung in your garden or used as a focal point. It has been made from a strong aluminium frame that has been powder coated and welded by hand to create a perfect seat that will protected from rust and rot. The textured, grey synthetic rattan has been woven around the frame and has been UV treated to protect against fading, peeling and cracking in the sunlight. With this Alexander Rose Monte Carlo Hanging Chair comes with a substantial base so you can have the option to sit in on the ground rather than hang it up. 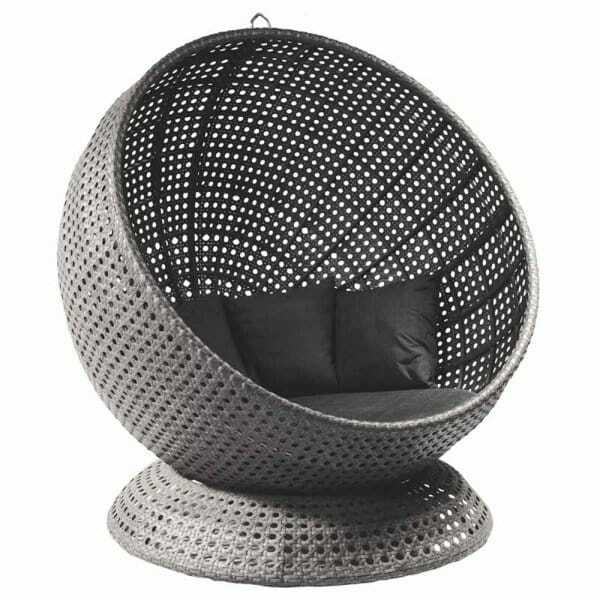 This Alexander Rose Monte Carlo Hanging Chair is covered with a manufacturers guarantee of three years.